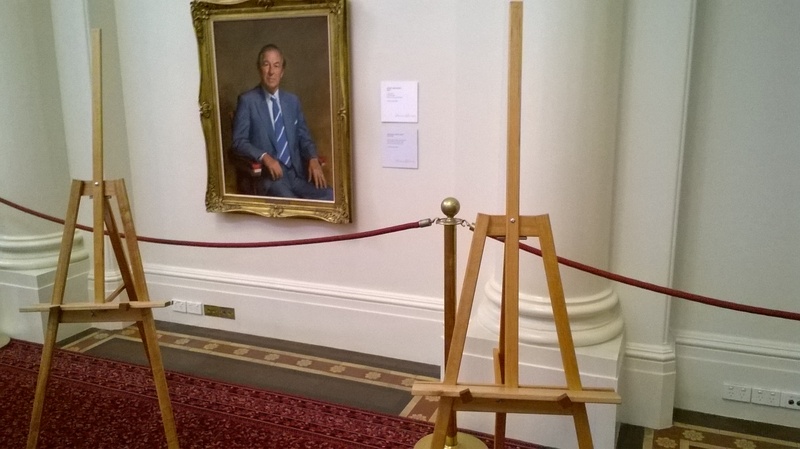 Easel hire for your exhibition, wedding, function, conference, display, meeting or art show. 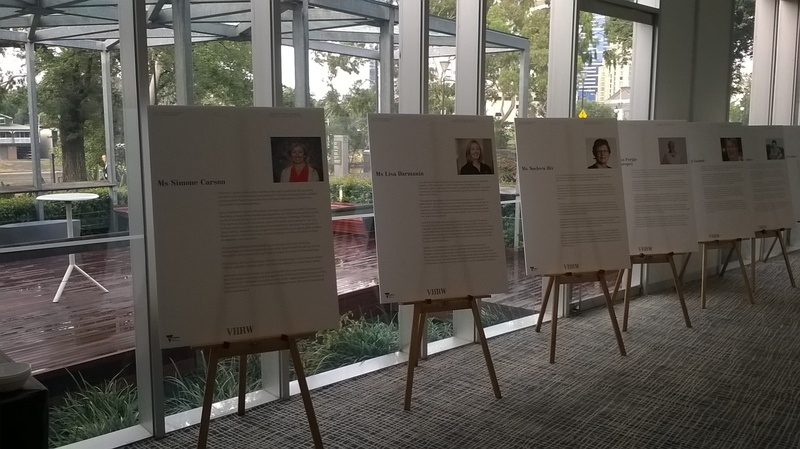 Great looking strong Australian hardwood display easels for hire in Melbourne, easy to transport and setup. Value pricing - why spend $30 per day when we charge $27.50 for one day, $38.50 for up to three days, and $44 for up to a week, with the convenience of a St. Kilda pickup location. We believe in simple, transparent rates - see our Rates page for details. The easels at Zinc are displaying A0 size pieces. Table easels now available for hire. See our Rates page for easel hire rates, and also a Quick Calculator Table that shows you the pricing for X number of easels for Y days. 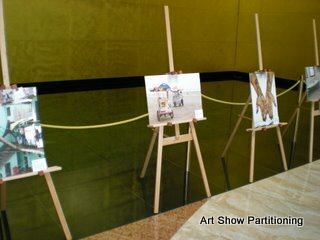 Art Show Partitioning display easels are easy to use, easy to transport, stable, and look good. Light - less than 5kg in weight. Compact - folds down to 1200mm high. Easy to transport - fits in the back seat of a common hatchback (we use our Peugeot 307), sedan, or in the back of a station wagon. No need for a courier van. Stable - unique locking bar system means the back leg cannot move in relation to the front frame. Strong - Tasmanian Oak hardwood timber. Adjustable support shelf (up / down) - picture can be higher or lower. Max height of easel including mast - 1800mm. Custom design, made here in Melbourne - you cannot buy these in a shop. We now have available a number of double sided easels, where a display can be mounted on both sides, not just on the front. 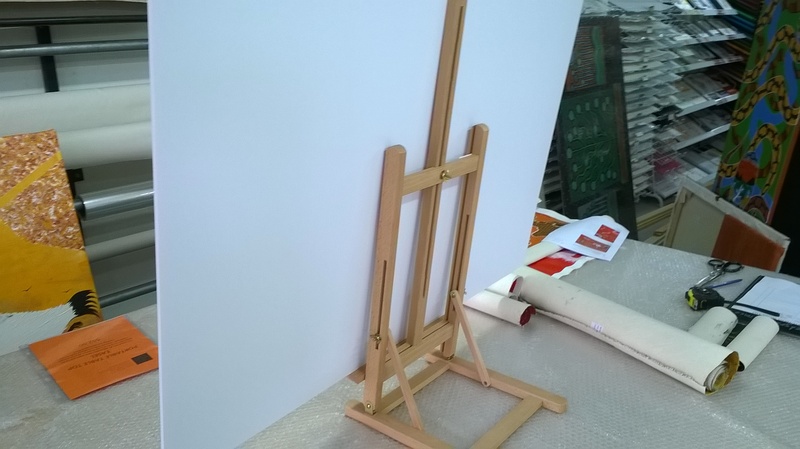 They have been custom made to our design, and retain the great features of our standard easels. Have a look at this page for more information and photos. 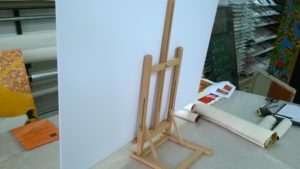 Call us if you have a need for double sided easel hire.